The change of seasons feels like a perfect opportunity to make positive changes and improvements to yourself, to your lifestyle and your own house. This is the reason New Year’s Day makes you feel like it’s a new start and you’re starting fresh. You don’t need to wait until then, freshen the look of your home with a Cincinnati Power Cleaning. These changes don’t need to be drastic, though some are necessary. Among them, you will feel the need of fixing things, either because they are bothering you or because if they stay that way, the damage will end up costing more than if it’s fixed soon. We’re talking, of course, about homeowner’s property care. The hardest part about organizing your house is to start. You want an organized and efficient way of cleaning in a short period of time. It takes some planning, but it makes a big difference when you do. You’re doing it to rid your life of clutter, and to have more space and mental clarity. 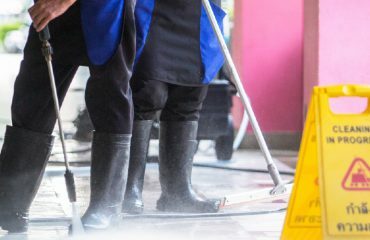 But before jumping in and putting your gloves on, decide which parts (house exterior cleaning or interior cleaning) need a more emergent attention. It could be those old plastic boxes you left on the garden last fall because you swore you would do a flower or kitchen herb garden. Or it could be that broken fan that you can’t seem to part ways with. Power cleaning not only involves dusting, but also power clearing. Make sure that the things that have been just sitting there and that bug you the most are on the top of the list, so you can decide if you’re finally going to become a gardener in your free time or not. Don’t give it too much thought. Forget you even threw them out before you decide to bring them back from the trash can. After you’ve thrown the fan out, start off by clearing and dusting a single room. It can be a smaller room, so it doesn’t become overwhelming. Starting with a smaller room is a good idea because it gives you a sense of accomplishment once you are finished, and you can happily continue with the next room. You don’t want to be exhausted either, so if you’re getting help from another person, separate chores so only one of you sorts and the other one dusts. You want to take all the advantages of teamwork and its magic. After you’re done, reward yourself with something small. 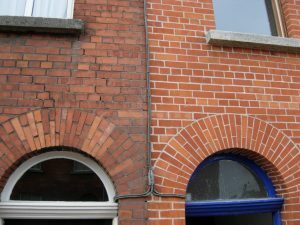 Aside from Cincinnati power cleaning the inside, you might be considering a house exterior cleaning. For this, you might want to hire someone to give you a hand. Unless you have the experience and the equipment to make a house look bright and shiny again, you might want to hire someone who has them. 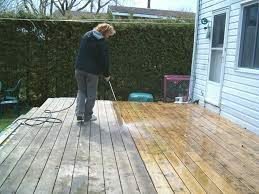 House exterior cleaning includes decks, fences, and exterior wood, and this is tough work if you don’t have a pressure washer. Completing this can help you to decide if there are any repairs that need to be done to comply with the Cincinnati housing code.